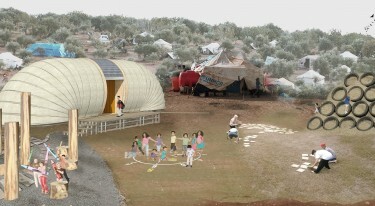 This student designed a portable school structure for refugee children “that can provide safe spaces and protection from risk, fear, stress and violence. 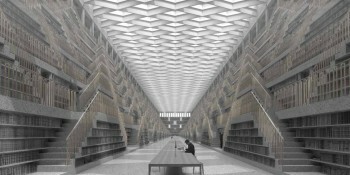 “The project develops a large horizontal building for the temporary custody of a vast repository of books. Under the assumption that following a total takeover of digital data, important human knowledge carefully printed on precious volumes will be turned into a collection of rare items (almost with the status of a work of art). The Honorable Mention went to Sara Pena and Rosario Lorenis at the School of the Art Institute of Chicago for their project, "Breaking the Cycle."